Can an IES LM-80 report for a 2700K LED package support certification for end products using LED packages from 4000K to 6500K? Can data for subcomponents that were listed on the NEMA/ALA Lamp-Ballast matrix be directly transferred to the Certified Lighting Subcomponent Database (CSD)? Can GU24-based light bulbs that were qualified to the Residential Light Fixture specification be automatically certified and listed on the Certified Lighting Subcomponent Database (CSD), or are they first subject to third-party certification? Can I use light bulbs certified to ENERGY STAR Lamps Version 1.1 in my luminaire? Can laboratories receive EPA -recognition to test products under the Luminaires specification as well as recognition to test luminaire subcomponents? If so, can laboratories use the same application, or would separate applications be needed? Can the test data for a screw-based E26-based lamp be used to qualify a GU24-based lamp? Do all qualified ENERGY STAR luminaires have to ship with a lamp? 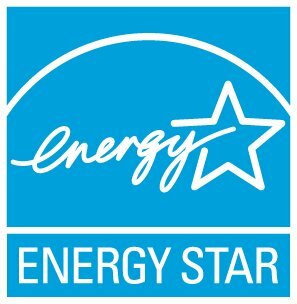 Does a supervised or witnessed manufacturer's test laboratory (SMTL/WMTL) need to be able to carry out all the test methods listed in the ENERGY STAR Guide to EPA Laboratory Recognition by Lighting Category? Does EPA provide interpretations of UL standards or the Federal Communication Commission's (FCC) Electromagnetic Interference test procedures? Does EPA recognition supersede some of the lighting specification's NVLAP and CALIPER requirements? Does EPA's recognition of a lighting laboratory per any of the lighting specifications currently in effect mean that they are automatically recognized for all lighting specifications currently in effect? Does the ENERGY STAR Manufacturer's Guide for Qualifying Solid State Lighting Luminaires apply to the new Luminaires specification? For certification, must all test reports come from a single laboratory, or is it acceptable to submit test reports from multiple laboratories? For Color Angular Uniformity, Luminaires V2.0 states that angular scanning resolution shall be 1° on the 0° and 90° vertical planes. If a directional luminaire (e.g., a down light) has light output only to 20°, to what angles must measurements be taken? For decorative lamps to qualify using the Lamps specification, what value should be referenced if no ANSI maximum lamp space drawing exists for the lamp shape in question? For ENERGY STAR certification per the Luminaires specification, should my decorative pendant luminaire be categorized as a directional down light? Or should it be categorized as a non-directional luminaire? For lamps, can one use the tolerance in Light Output and Lumen Maintenance? For qualification using the Ceiling Fan or Luminaires specification, do ceiling fan light kits with multiple non-directional heads need to provide 800 lumens per head? For solid state down lights to be qualified using the Luminaires specification, does the color angular uniformity requirement need to be met using every available trim option? For Solid-State Lamps, what data can be shared among allowable product variations?